If you are not yet ready to say, "Enough!" and go home there are two options for Saturday. One is a field trip to a habitat restoration site. The other is a shopping trip to two nurseries and Ladew Gardens in Maryland. A baker's dozen of us opted for the shopping trip. A good number as our little yellow school bus will have room not just for us but also for plants. It is, after all, a shopping trip. 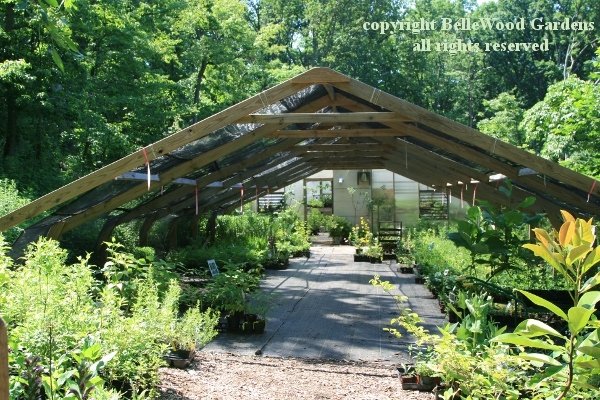 First stop is Kollar Nursery in Pylesville, Maryland. 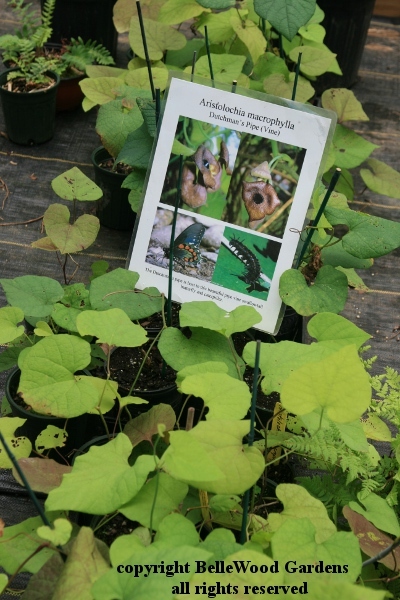 Stan Kollar was one of the vendors, and also gave an encomium for Aralia racemosa, American spikenard, at the 15 minute perennials of merit yesterday. His chickens, he said, leap up to eat the berries, very difficult as they are overweight from eating such things. Should be an interesting place to visit. And it was. greenhouse, and a winter snowfall crushed the first replacement. Clearly, Stan is a keen propagator. Here he's showing us a flat of 2-year-old rhododendron seedlings. Patience is needed. And if there were some way to cope with missing labels . . . Birds pull them out and one species looks remarkably like another, often until they bloom which can be many years down the road. He takes us around, up and down. 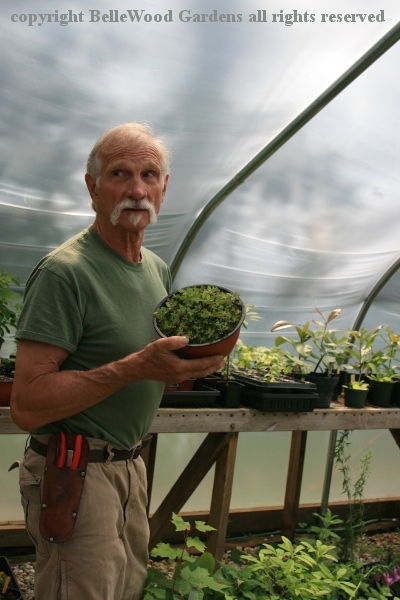 Every plant has a story, an interesting one, and Stan knows them all. 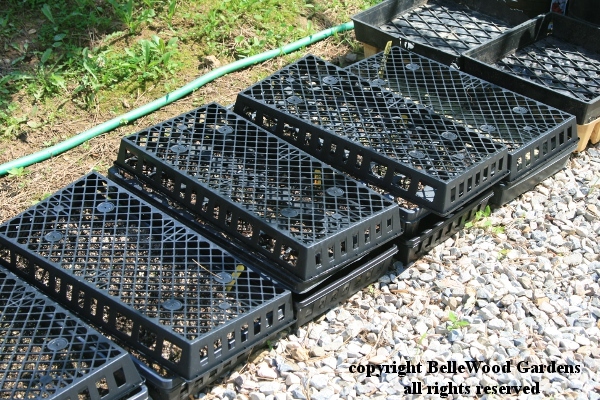 these upended covering plastic trays are intended to prevent. signage to educate shoppers about the web of life. What's this? 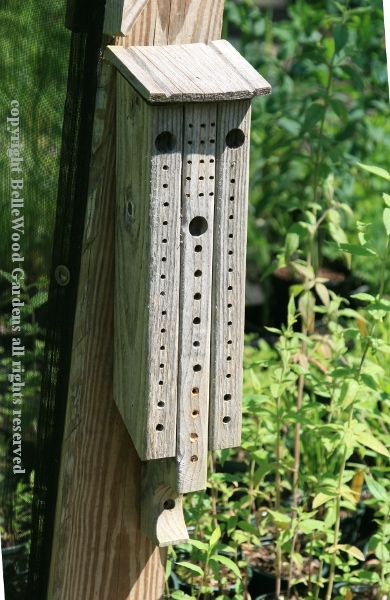 Why, it's a bee house, for native bees. Isaiah found a nest, fallen from a tree. Nearby was the mother bird, dead. 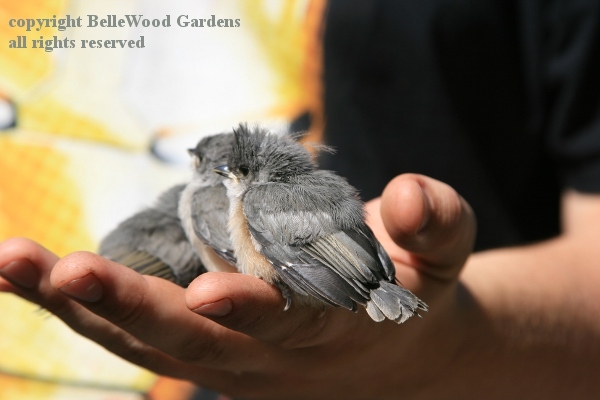 He brought the three tufted titmouse nestling back. Fully fledged, it still won't be easy to rear them to independent living. The parent birds would be feeding them every 20 minutes or so, 16 hours / day. Each nestling eats hundreds of caterpillars a day. Fingers crossed that there is a successful outcome with dog food soaked in water, mashed hardboiled egg yolk, baby food as substitutes for caterpillars. 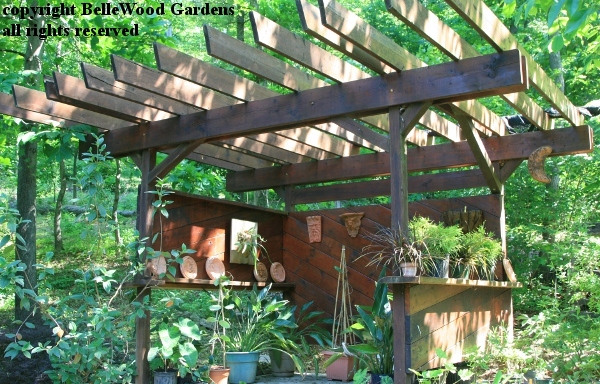 A pleasant gazebo in the woods. We've perambulated for over an hour. Plants bought, paid for, and brought on the bus. Off to our next stop.